Every year, I make a fairly concerted effort to compile my list of favorite releases in a way that makes the listening experience dynamic. Overall, many of the releases that make my lists are those that command both melody and quirkiness, grimy dissonance and luster. I enjoy so many different genres that my selections even surprise me, at times. Normally I do have some non-metal releases mixed in, which you can see on my RYM profile. Here, however, I will only focus on the metalest of all the metal! This is my final list with placements that were decided by originality and overall musical contribution to their respective genres. I quickly cut bands and artists out who I felt were not attempting to introduce new nuances to their sound in an effective or interesting way, so this list wasn’t just a typical array of albums I appreciated, but a culminating experience that caused me to revisit records multiple times over. I hope you find it interesting! If I could have broken this release up per album, I would have, because Despair (part III) is pretty much a 5/5 for me. It’s absolutely soul-crushing and some of the best material this band has put out to date. Gloom and Beauty are also very strong, but they’re very separate in my mind and are consequently the reason why this barely makes my top ten. I was really worried that these guys wouldn’t be able to break into new interpretations of their music after their 2012 record, but they proved me wrong with their ambition and vast creative genius on this collection of materials. I will never complain about waiting three years for an StS record ever again. 9. Kardashev – PeripetyKardashev return with a contemplative, melodic and brutal piece of progressive deathcore. I really love these guys because of their insistence on keeping the genre of deathcore more intelligent than many of their cohorts have tried to do. With heavy influence from bands like Fallujah and Aegaeon (who are also part this more intelligent interpretation of the genre), it’s hard to argue with the formula, here. It’s only successful, however, because they are able to reimagine it without faltering or forcing the music into uncomfortable boundaries. If you’re a fan of deathcore and you don’t like this, it’s probably because you like things more straight forward and that’s okay, but this band has a chance to open the door for a genre which is incredibly reliant on generic guitar tones, compositions and monotonal vocals. I hope more bands and listeners start offering this band the respect they deserve. 8. Chapel of Disease – The Mysterious Ways of Repetitive ArtWhat’s important about this release is its manifestation of death doom as a trophy of musical wanderlust. You’re going to be scarce in finding something that blends more genres, yet maintains a palpable devotion to its respective sound. 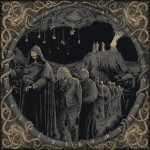 This could be the first in a necessary development for death doom metal surfacing beyond 2010. It takes what’s really successful in the newer, cavernous death metal movement and embraces other important influences that harken back to why a band like Candlemass was so innovative. The key here is that Chapel of Disease have found a sound entirely their own and have crafted an incredibly complete work, here. I’m really blown away by the amalgamation of genres, here. Punk, black metal, sludge, shoegaze – you name it. At first, I wasn’t sure that I liked this as much what they did with their EP, ‘Breathe Deeply’, but of course this list is about rewarding bands who choose to innovate their sound and Underling came out swinging in that respect. The more I listened to this, the more I gained an appreciation for what it must be like to break away from a sound and to continue developing it all at the same time. We still hear aspects of Underling on this debut release that were very apparent and successful on their EP, but we also hear so many new things on this record that are initially difficult to digest. Given a chance, I think these guys will take this style of nuanced and hackneyed black metal into new territories that bands like Deafheaven refuse to explore. 6. 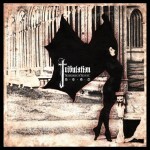 Tribulation – The Children of the NightDid Blue Oyster Cult decide to write a new record? Of course, Tribulation bring their very unique sound to the table, here. That’s what makes it so good for me – it’s somewhat nostalgic yet altogether a very original piece of work. Judge Dredd and I actually wrestled with this one for a while because at times it’s hard to tell whether or not this band is prepared to follow the path of Ghost in the way that they are simply attempting to emulate music that’s been around for decades. In the end, there’s a quality to Tribulation’s take on that whole affair that makes it undeniable – completely its own untamed beast. The fact that this album is decidedly more gothic than black, more progressive than gritty, is strange and fascinating because it still conveys those sensibilities overwhelmingly. Indeed, those Strange Gateways Beckon. 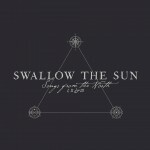 Ethereal, cosmic, atmospheric and beautifully composed throughout. Space-themed black metal is far from new and it’s become part of the new array of themes that are being beaten to death in metal music, but it’s certainly a testament towards to the times we live in. It’s even somewhat admirable that we have now begun to reconcile this vast body we have, as living beings, been thrust into through one of the most abrasive and vehement forms of music available. Somehow, in that contrast, a project like Mesarthim ultimately commands the beauty and haunting, cold darkness of space without abandoning that vehemence. At times dark wave, at times the blackest of black metal and, oddly, at times cheesy 80s synth-fest. Somehow this is a near perfect formula for me, and while ‘Isolate’ fell off a little bit for me at the end of the year, I was ultimately enthralled by this odd black metal concoction. Just slightly overlong, but commanding and beautiful nonetheless. A few people on RYM started praising this record amidst the undeserved fervor (just my opinion!) surrounding Deafheaven’s ‘New Bermuda’ and I had to check it out. With little resistance, this band found their way into my top five and never really left. As the year continued on, I kept listening and was thrust into an oblivious sort of stupor each time. I can’t even work when this album is on anymore because all I want to do is focus on every aspect of it, which is a good problem to have. This is heavily sludge influence black metal and all the post-whatever tendencies you could ask for, but they’ve got a special approach to that style that makes me forget about many other bands who are doing the same. It’s unfortunate that such an interesting combination of genres has been beaten so far into the ground by now, but that doesn’t mean that the bands who are doing it right don’t deserve credit. They deserve a lot of credit. This stuff is absolutely arresting and full of brilliant musicianship at every turn. Turn the volume up, bring the lights down low and make yourself at home. This debut release is as strong as they come. 3. Ad Nauseam – Nihil Quam Vacuitas Ordinatum EstThis was my first perfect score of the year for good reason. 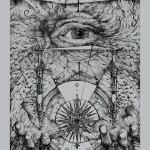 Ad Nauseam remind us that Gorguts are really good at what they do, but are not the only prevailing masters of dissonance and disarray. Of course, a group like this probably doesn’t exist without their predecessors in Gorguts or Deathspell Omega, but when a band takes a sound so alien and erratic and ups the ante for just how absurd it can become you kind of have to stop and appreciate it. If this album were only fulfilling that quality, it would still rank highly, but here’s why it’s a perfect album for me: there is a spontaneous and unpredictable quality to this album that is somehow held together entirely by…cohesion. Yes, that’s right. This album’s real success is born from a formula that is, indeed, difficult to discern, yet somehow so commanding and unnerving. Listen to a song like La Maison Diev. You can hear every calculated moment in a sheer perfection of chaos. If not for musicians like this, metal would get boring really quickly, and even with their clear influences I can confidently say I’ve never heard anything quite like this before. 2. Mgła – Exercises in Futility I don’t think I have to justify this selection very much, because I know many of you agree with me on just how great this release is. There’s a level of hypnotism on this record that I feel commands its overall comprehension. Most of the soundscapes have a familiar appeal, but their meandering qualities draw the listener in just before the journey’s end. 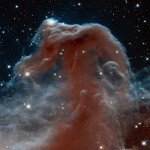 At that precise moment, the next movement begins in an eruption of surprisingly repetitive, yet entrancing resolution. This album does it multiple times, in fact. You’re listening, listening, listening…and all at once you are utterly thrust into haunting, suspended, even catchy riffs and vocal patterns. Many times I found myself wondering how the release could feel so complete and masterful – a sound unto itself and a precedent for all black metal acts yet to come. 1. Akhlys – The Dreaming ISinister beyond description, calculated with directives that make you squirm. This is caustic and unnerving black metal where darkness and morbid sensibilities reign supreme. Akhlys delivers my best album and musical experience of the year. Nothing compared to this in its abject delivery of disgusting and unsettling musical exploration. The pure energy of the record is enough to command insanity, but there is such a surprising and ultimately incomparable sense of melody on this release that is somehow born both of dissonance and luster. Without hesitation, The Dreaming I will make you question every other evaluation of music you’ve made this year. Only an album of this nature can make you question whether or not you loathe or adore it, and in my case, it was surely the latter. Thanks very much for giving this a read! Don’t forget that Judge Dredd and myself will be hosting the show on KJHK from 9 pm – midnight every Sunday.